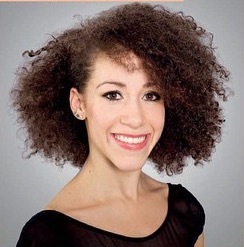 Sophie began her training at The Saxtead School of Dance in Suffolk, whilst additionally attending Associate classes at the Royal Ballet School. She then completed her training at Central School of Ballet graduating with a BA (Hons) Degree in Professional Dance and Performance. Whilst at Central, Sophie performed with the Kirov Ballet in their production of The Sleeping Beauty at the Royal Opera House, and spent her third year touring the UK with Ballet Central. Upon graduating in July 2010 Sophie worked at Disneyland Paris for a year, dancing in the shows and parades. Whilst in Paris Sophie entered the Concours International de danse de Biarritz in which she was a finalist, dancing the Le Corsaire pas de deux. Sophie left Disney to perform as a member of the corps de ballet in the Phantom of the Opera 25th Anniversary performances at the Royal Albert Hall in October 2011. She then joined the West End cast of The Snowman, playing the parts of the Ice Princess and Music Box Ballerina at The Peacock Theatre, London. Sophie then performed with the UK tour of Phantom from January 2012 to May 2013. Immediately following the 15month tour Sophie joined The English National Ballet to perform in a season of Swan Lake In The Round at the Royal Albert Hall. In early 2014 she was asked to work with Ballet Black in creating the role of Anna in a ballet production of the book “Dogs Don’t Do Ballet”. This work was made especially enjoyable as she was once again working with Kanika Carr a friend through schooldays, Saxtead School Of Dance and on to Central School Of Ballet! In December 2014 Sophie appeared once again in the West End Cast & Tour of The Snowman. In December 2015 Sophie appeared once again in the West End Cast & Tour of The Snowman. I started dancing with Sandra as one of her very first pupils! Saxtead School of Dance quickly became my second home and it stayed that way until I went to start my professional training at Bird College when I was 18. Whilst at SSD I worked my way through nearly all of my RAD grades, achieving my Advanced Foundation before I went to college. During my time with Sandra I performed with the English Youth Ballet on several occasions which was a fantastic experience and continued to cement my passion and dreams for a performing career. I pursued this and went to Bird College to study for a foundation year in Musical Theatre, I then continued my studies at London Studio Centre for 3 years and came away with a BA(Hons) in Musical Theatre. I was lucky to work with some of the top industry professionals during college, taking workshops and audition classes. Since graduating I have worked professionally for First Family Entertainment in Snow White and the Seven Dwarfs with Warwick Davis at Milton Keynes Theatre and also Aladdin with Justin Fletcher at The New Victoria Theatre Woking, understudying the role of Genie of the Lamp. I have also performed in music videos and worked in the film and television industry, most recently working on the new Harry Potter spin off ‘Fantastic Beasts and Where to Find Them’ starring Eddie Redmayne. Not only did I learn my solid technical base with Sandra that has equipped me with everything I’ve needed to gain entry into a professional college and work professionally as performer, but I also made friends for life growing up at Saxtead School of Dance who I will always keep in touch with. I have the fondest memories of my time there, it is the most caring and nurturing environment in which to develop your dreams and I will be forever grateful. I started dancing at the Saxtead School of Dance when I was three years old. It was here that I realised this is what I want to pursue as my career. My first performance experience was with the school but since then, I have done pantomime annually with The Company of Four, modelled for a bronze sculpture and had the chance to perform with the English Youth Ballet in Coppélia, Sleeping Beauty, Giselle, and, in 2014, as a soloist in Swan Lake. Before leaving Saxtead in Summer 2015, I had taken all my graded and vocational exams and really appreciate all the support I received when I started to audition for vocational schools. I am now studying Professional Dance at the Northern Ballet School where I hope to continue and get a job as a professional dancer. I joined Saxtead School of Dance in 2012 and left in 2014. During that time Sandra Hartley brought me on from RAD Grade 5 to Advanced 2, helping me to secure the results I hoped for. In 2013, I successfully auditioned for Royal Ballet Senior Associates, where I worked with Julia Ellis for a year. In 2014 I auditioned for vocational dance school and received offers from BTUK School, Tring Park and Central School of Ballet. I’m now in my second year at Central and am really enjoying it. I wouldn’t be where I am without Sandra, I will always remember the good times I had at Saxtead, great people and the best atmosphere to dance in. I joined the Saxtead School of Dance when I was 9 years old starting with tap and modern classes. After focusing on this for a few years I then began to realise I had a true passion and love for dancing and wanted to make it my career. I discussed this with Sandra and she advised me to start Ballet immediately. Sceptical at first, as I wanted to be a jazz dancer, I fell in love with ballet wholeheartedly and with Sandra and Helens expertise quickly excelled. At 16 I was fortunate enough to be offered a place at Preston Dance College where I received a full scholarship. Here I completed my advanced levels in ballet (RAD and ISTD) tap and modern (ISTD). I also gained my full ISTD teaching qualifications in Ballet, Modern and National. After two years at Preston, I decided to further my training at the The London Theatre School, where I took a post graduate course in commercial jazz and during this time secured myself representation with top musical theatre agent Becky Barrett Management. I have been fortunate enough to work solidly since graduating, as both a dancer and singer. Some career highlights include dancing at London Fashion Week and supporting artists such as Olly Murrs, MyFly and Diversity as a member of girlband 'P5'. I also had the joy of working with the Potters theatre company for 3 rolling contracts, finishing last September and then being cast in 'Jack And The Beanstalk' pantomime for Qdos productions this Christmas. Since returning to London in January, I have been selected to train with commercial dance company Infinity8 and have already started booking jobs! I cannot thank Sandra enough for providing such a supportive and expert facility. We are so lucky to have had this gem of a school provided for us and I cannot recommend it highly enough. You are encouraged to pursue your dreams and Sandra puts so much time and effort into every student. I couldn't have asked for a more perfect teacher! The first thing I said to my mum when we arrived in Suffolk, after moving from America was, 'i would like to do ballet classes.' And so in 1996, age 5 with the strongest American accent, I started my first ballet classes with Sandra after school. I loved it! Jumping, turning, picking jewellery through bramble bushes, and pretending to be a seal eating chocolate fish to strengthen the back! Brilliant memories! At Saxtead School of Dance, I worked through all my RAD grades, and up to Advanced Foundation level. I took part in the dance show the school put on for parents. One year, when I was about 13, I was lucky enough to take part in the English Youth Ballets production of The Sleeping Beauty, which was the experience that made me 100% sure that I wanted to be a ballet dancer and perform. It was at SSD that I got all the support, knowledge, confidence and training that enabled me to audition and receive a place at Central School of Ballet in London. In my final year at Central, I worked with choreographers including Christopher Marney, Kit Holder and Christopher Bruce, and toured parts of Great Britain with Ballet Central. Upon graduating, in 2010, I joined Ballet Black as one of the companies first apprentices. Since dancing in Ballet Black, I have worked with many choreographers, including Robert Binet, Christopher Hampson, Will Tucket, Kit Holder, Mark Bruce, Arthur Pita and Christopher Marney. I have toured to Germany, Italy, Holland and Bermuda. I will always thank Sandra for giving me such a strong foundation to become a professional dancer. She always gave me the guidance, advice and support needed to prepare me for this journey, and I thank her with all my heart. I started taking RAD ballet classes with Sandra Hartley at Saxtead School of Dance when I was 11, starting with Advance Foundation and culminating in a distinction at Advanced 2 when I was 15. Although Saxtead is not a “competition” school it enters the RAD East of England Ballet Awards. I was awarded 1st prize, Senior class in 2013 & the Artistry Award in 2014. And in March 2013 I entered the Phyllis Bedells Bursary, donning a tutu for the first time and learning the difficult Diamond Fairy Variation from Sleeping Beauty! I was a ‘CAT’ student at the DanceEast Centre of Advanced Training; training all day Sunday and two mid week classes. On Saturdays I attended London Senior Ballet, (receiving a half scholarship for the Graduate year) and the Royal Ballet School Senior Associates at Covent Garden from 2013-2015. I have tried to attend courses whenever possible, including: English National Ballet School; Northern Ballet; Winter & Summer sessions at Académie de Danse Princesse Grace in Monaco and Dar Danse in Morocco, (in Feb 2013 I was awarded a bursary for Wells Away in Morocco. Whilst there I was awarded the 1st Position Trophy & a scholarship to return August 2014 where I received a Lifetime Scholarship). I have also received Artistic Progress prize in 2013 & Most Promising Contemporary Student in 2012 at ENBS. I have performed with the National Youth Ballet of Great Britain at the London Palladium and Sadlers Wells and awarded the NYB Junior Choreographic Cup & the Intermediate Cup the following year. Other performances I have been involved in have been include: Hot House, a collaborative project with ‘CAT’ students and artists of the Royal Ballet performed at The Royal Opera House; “Outside the Box”; a contemporary piece choreographed and filmed by Rachel Mossom and “Strata” choreographed by Alexander Whitley. My favourite performance to date must be as a love-struck, demented sylph in Matthew Bourne’s Highland Fling, Act 2, as part of the DanceEast end of year show where we were fortunate enough to work with Kerry Biggin and Etta Murfitt from Matthew Bourne. In September 2015 I started BA (Hons) at Rambert School of Ballet and Contemporary in London- and loving every minute. My years at Saxtead were very special, Sandra’s enthusiasm was infectious, her sayings memorable and that Saxtead spirit is still with me! I joined Saxtead School of Dance when I was 7 years old, starting with tap and modern. Very quickly, I started ballet with Sandra and 9 years later I had successfully completed all of my RAD examinations. During my time at Saxtead I was given countless performance opportunities including 4 seasons dancing with English Youth Ballet - 3 of which I received a full scholarship, and in my final 2 seasons I was lucky enough to be a soloist. I successfully auditioned for The Royal Ballet School and was a Mid Associate for 3 years. Following this I auditioned for West End Masterclass where I was offered a full scholarship and went on to train for 3 years. When I left I was awarded the Kerry Ellis Young Performer of the Year award. After leaving Saxtead School of Dance in 2012, I went on to study Musical Theatre for 3 years at Laine Theatre Arts on a full scholarship, graduating in July 2015. During my time at LTA I played Billie in Our House and Miss Krumholtz in How To Succeed In Business Without Really Trying. As well as this I performed at the official opening of Epsom Station as part of the Laine Cabaret group and also toured to Devon with our cabaret show. Upon graduating I was signed by one of the top agencies in the industry - Access Artiste Management. I have spent the past three Christmases performing professionally with Jordan Productions pantomimes: ensemble and understudy Aladdin and Princess So-Shi in Aladdin 2013/14 (Devonshire Park Theatre, Eastbourne), ensemble and understudy Aladdin and Princess So-Shi in Aladdin (Gordon Craig Theatre Stevenage 2014/15) and most recently ensemble and played Fairy Fortywinks (opposite Wendi Peters as Carabosse) in Sleeping Beauty (Gordon Craig Theatre, Stevenage 2015/16). As well as performing for Jordan Productions, I have also provided the backing vocals for their pantomimes across the UK for the last 2 years. My first credit after graduating was appearing as a soloist at 'West End Gala'. I was lucky enough to be able to perform alongside seasoned West End professionals including Sophie-Louise Dann, Alice Fearn, Lara Denning, Nicholas Colicos and Nathaniel Morrison. I have also worked with Betty Laine, Matt Flint, Aaron Renfree, Peter Polycarpou, Neil Rutherford, Michael Xavier, Lindsey Wise, Kerry Ellis, Andrew Linnie, Stiles and Drewe, Shaun Williamson, Phillip Joel, Flik Swan and Sam Spencer Lane. Most recently I have been seen by Andrew Wright and Arlene Phillips. My time and memories at Saxtead School of Dance will never leave me. As an aspiring performer, Sandra's training gave me everything I needed to enable me to successfully audition for vocational schools and now, professional work. Sandra encouraged me from day 1 and has always been enthusiastic, supportive and caring - both during my time at Saxtead and now as I continue on into my career. I have everything to thank her for. I started dancing with Sandra at the age of 6 and did ballet, modern, tap and jazz at Saxtead School of Dance. During this time I completed all my RAD examinations in ballet and got the results I wanted and more with Sandra's help. I also got the chance to do EYB at The Theatre Royal Norwich four times performing in Coppelia, Sleeping Beauty, Giselle and Swan Lake. Sandra also gave me the confidence to audition for Company of Four’s pantomime which was when I knew I wanted to do musical theatre as a career. At 16 I auditioned for Laine Theatre Arts and did the Foundation Course for a year which really boosted my confidence and I am now halfway through my first year working towards a diploma in Musical Theatre and Professional Dance, having the time of my life. Even after leaving Saxtead Sandra is always checking up on me and giving me endless advice and support. I can't thank her enough as without her help, training and constant encouragement I would not be where I am today working towards my dream.